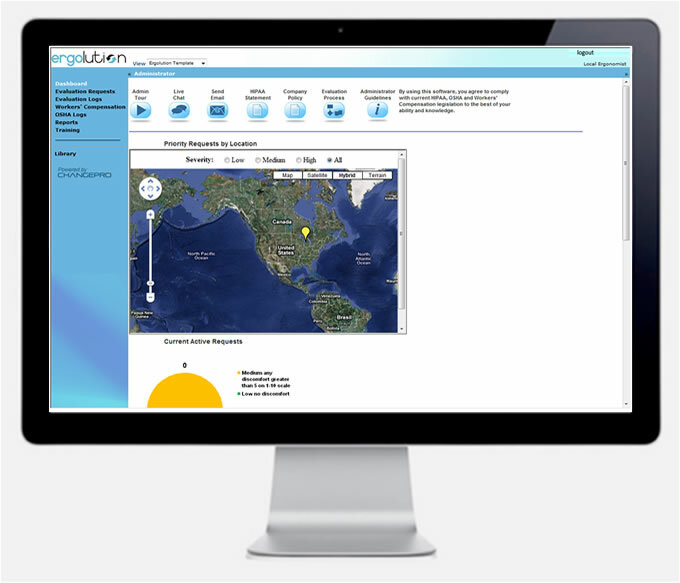 Ergolution is an enterprise grade browser based document management tool. Ergolution provides a HIPAA compliant secure foundation to centrally host documents and reports. Ergolution clients are able to view their customized interface through any web browser without any software installation. The interface is fully password and permission protected and allows all employees an ergonomic team members access to a wide variety of productivity and compliance tools. Concept to Customer all inclusive creation of a SaaS application for managing ergonomic requests for evaluation.